As part of my coursework for the certificate, I had to write a Pest and Disease project. I researched 15 of the most common pests (vertebrates and invertebrates that feed, inhabit or otherwise live off plants, damaging or killing them) and diseases (caused by microorganisms such as fungi, viruses and bacteria), ones that I had the opportunity to see in person at Wisley. We were not required to study disorders, which usually go together with the other two categories in the acronym "PD&D"; disorders are physiological conditions that cause the plant to behave abnormally, for whatever reason except pest and diseases (i.e. nutrient deficiencies, drought, heat, physical damage etc.) - they are very difficult to identify, as this excellent guide from Michigan State University explains. One such disorders I encountered at Wisley was on 'Conference' pears. 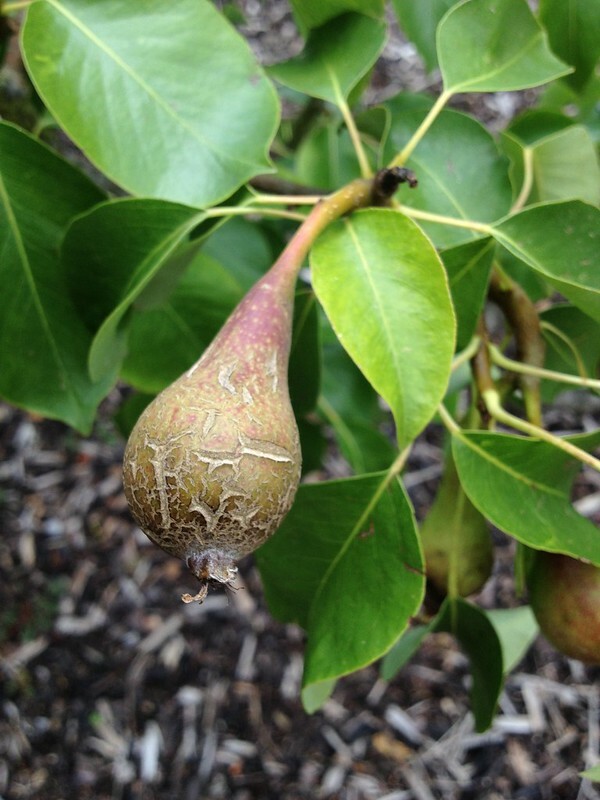 In some years more than others (maybe due to some nutrient deficiency and possibly facilitated by dry weather), some pears develop corky lesions on their skin, which may on occasion be mistaken for fungal disease scab (Venturia pirina) but have been identified as a likely disorder. 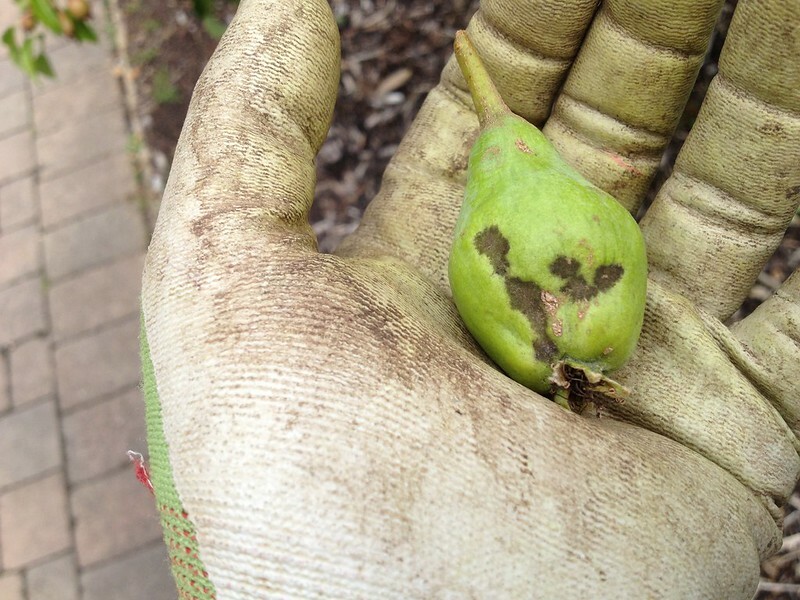 'Conference' pears are particularly prone to them: I had it on my tree at home and receveid a good few questions from visitors that spotted it in the Fruit Garden. 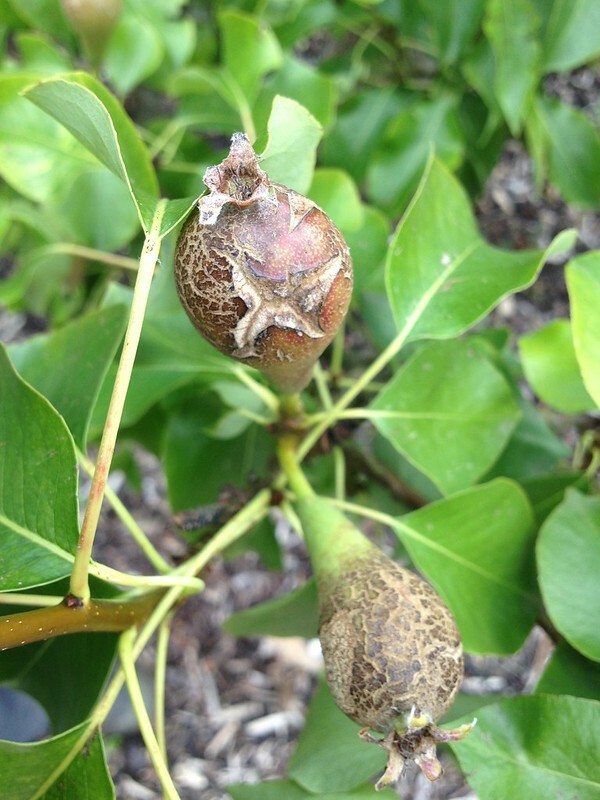 Dealing with it means simply removing the worst affected fruitlets so they do not take up the plant's energy; most fruit grows out of it to be happy pears anyway.